I’ve been having quite a bit of fun with Mortal Kombat X on the Xbox One, even though I’m generally terrible at fighting games. I don’t have the best coordination and can never rattle off button combos fast enough. Heck, most of the matches I’ve played so far I’ve just spammed Raiden’s kick following up with a dive kick and it’s worked well enough. I’ve only won a singular ranked match, but I consider that a triumph on its own. 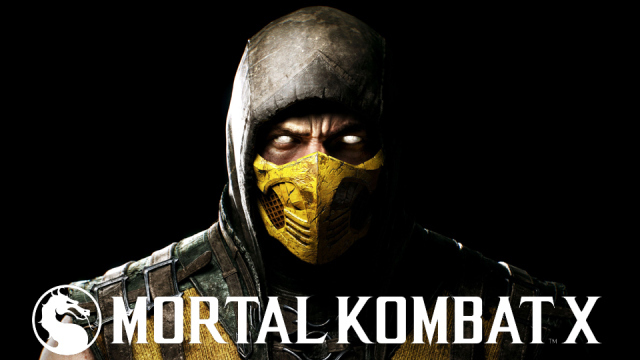 Mortal Kombat X’s tutorial, however, has frustrated the heck out of me. I wanted to play through it last night in order to earn the achievement for doing so, but once I started getting into the combos I could not progress any further. No matter how hard I tried, none of the combos would work. My thumbs were aching as I spent at least 45 minutes on the combo section alone, failing again and again. I searched around and found that some people had some success by tweaking some of the gameplay options (such as the release check toggle) but this didn’t help me at all. Ultimately, out of extreme frustration, I decided to skip through the rest of the tutorial. And guess what? You get the achievement anyway, even if you skip through the entire tutorial! That would have been nice to know beforehand!! I could have been enjoying the good parts of the game instead of wasting time on a tutorial that taught my absolutely nothing. But hey, at least I got the achievement! 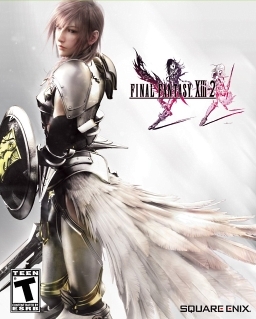 Final Fantasy XIII-2….what did I get into? The last Final Fantasy game I actually finished was Final Fantasy X. Heck, the only two Final Fantasy games I finished are X and VII (in that order). I played XII for awhile but could never figure out what the heck was going on and why any of the characters were relevant and eventually decided it wasn’t worth my time (after maybe 12-15 hours). XIII looked nice but was boring to play and again none of the characters caught my attention (and the story made no sense if there was even one at all). I played about up until the first or second hour of the second disc and never went back. So why did I pick up XIII-2 tonight? I can’t quite say. I just played through the opening sequence and I’m starting to regret the purchase, even if it was only $12. The game is so far overly flashy with too much happening on screen for seemingly no reason at all. Maybe it’s because I hate anime, but all the flash and pointless acrobatics just bug me. Maybe it’s because I never finished XIII, but I’m already so lost as to who is who and what is even happening. Not only that, but the abundance of quick time events so far has my grinding my teeth. They haven’t been satisfying at all and I’m not sure why they’re even there. Hopefully this game will get better with time, but I might not be able to take it much longer. I’m more tempted to just go back and continue my journey with Final Fantasy X HD. The first four episodes of Game of Thrones have leaked! 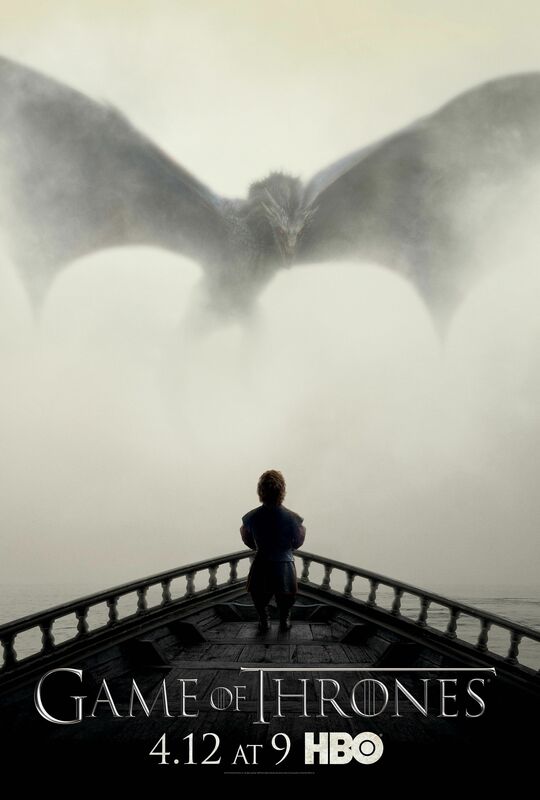 Ahead of tonight’s season five premiere of HBO’s Game of Thrones, the first four episodes have been leaked. Thousands of people have already downloaded and shared the episodes, and all of a sudden the rest of us are behind in Game of Thrones before it even started. So now, we’re faced with a choice. Do we wait and watch the episodes as they’re aired on HBO, while risking that someone at work has seen the episodes and might let something slip? Or do we put on our pirate hats in an effort to avoid having the season spoiled? In the age of Netflix and House of Cards binge watching, can we force ourselves to wait and watch one episode a week, or is the temptation to see as much as we can at once overrule our morality? 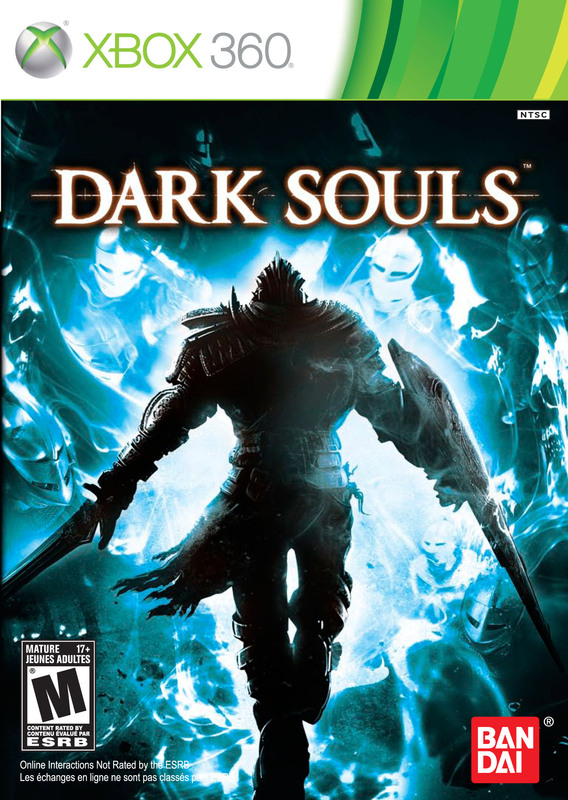 I played Dark Souls once before, not long after it became a huge ‘hit’ out of nowhere. I had heard the game was unforgiving, and as someone who often gets mad and quits games when they die, I should have known Dark Souls wasn’t for me. I remember having absolutely no clue what I was doing and repeatedly dying while trying to climb some stairs on the mountain side, VERY early in the game. At that point I gave up and swore never to come back. Well now that I have a 360 again, I downloaded Dark Souls and decided to give it another try. I think all of the Bloodborne talk lately got me wanting to check out the Souls experience again. This afternoon I still had absolutely no clue what I was doing. I had to Google what Humanity was and still couldn’t quite figure out what to do with it. I made myself human and redeemed some humanity (by redeemed I mean I used it so a number shows in the upper right corner) but have no idea what affect that had. I managed to make it past the stairs I got stuck on before, but it was ugly. I’m absolutely terrible at anything that involves timing and can’t parry an attack to save my life. I basically ran up to enemies while holding my sword in two hand mode and flailed at them until they died, all while taking a few hits here and there. I wandered around aimlessly and used up quite a few Estus flasks and my divine ability or whatever (I’m playing as a Knight) and somehow made it to the second boss after summoning another character (which I assume is another player?). The boss immediately sent me flying off the bridge into the ether and to my death. I started off back at the campfire way back below those stairs I was stuck on before and decided to call it quits again. Maybe there was another campfire between there and the boss (I would hope so), but I certainly did not feel like running through all that again. Heck, I barely made it to that boss with my life intact and I don’t see the appeal in doing it all again. Furthermore I’m pretty sure all of my souls and humanity are irretrievable seeing as my body was thrown into the nothingness. Not cool. At this point I’m not certain if I’ll try again. I don’t think I can take repeatedly trudging through the same area and enemies just to die again and again. I think I’m just not cut out for this game. I may take a look at a strategy guide or watch some ‘Let’s Plays’, but for now I think I’ll fire up Tiger Woods ’13 and relax on the links. I sold my Xbox 360 shortly after getting an Xbox One and have often regretted the decision. At the time it made sense as I was looking forward while also attempting to cut down on clutter. I ended up trading in my 250gb 360 slim (which I had just recently upgraded to from an older Elite) to GameStop for some irrationally low sum (I think I got around $80 for the console and around 15-20 disc based games). Oh well, I got a second Xbox One controller out of it so it seemed like a good idea. I haven’t really missed my 360 either. I’ve enjoyed my Xbox One immensely. The longing for another 360 came after returning from vacation where I spent a lot of time playing Minecraft on the Xbox One with my brother. He doesn’t have an Xbox One, and is still in high school so it’ll be awhile until he gets one. Therefore now that I’m back in Idaho the only way I can play Minecraft with him is on a 360. Sure, you’d say PC is an option, but he’s part of the generation that thinks PC’s are old fashioned. A phone is all he needs. I’ve also been looking at the list of great Games with Gold releases on the 360 and I’ve found quite a few games have been given out for free that I never got around to playing. I also miss playing the Scene It games with Vanessa, so yesterday I ordered a $99 refurbished Xbox 360 from GameStop (along with a 2 year replacement plan). 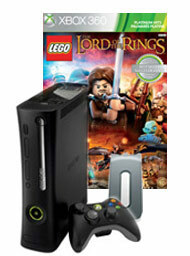 I picked up the 60GB Lego Lord of the Rings bundle because it has the highest hard drive space of the $99 bundles. I have quite a few digital 360 games tied to my account, but I think 60GB will get me what I need for now. I’m not certain which version of the 360 I’ll be getting as the page notes that models may vary, but I’m at least hoping I get a model with an HDMI port. My only regret at this point is that I never transferred any of my 360 saves to the cloud. This was a huge mistake on my part because I’ll have to start many games over again should I choose to play them. I never finished Final Fantasy XIII but I got pretty darn far. Not sure I’ll want to start that adventure over. My 360 should arrive tomorrow evening and I look forward to re-downloading a few of my favorite titles and checking out April’s Games with Gold. Too bad I didn’t have a 360 all along because I’ve missed a lot of great free games. Oh well. Have you found yourself going back to a last gen console? Did you have to repurchase it or did you keep yours? WWE Network is currently free for the month of April for new subscribers, so I decided why not check it out and watch last Sunday’s Wrestlemania. Even though I had previously subscribed to the WWE Network last year it still let renew my account while receiving April for free which was pretty cool. It’s also worth noting the six month commitment is no longer in place and you can cancel at anytime. They previously locked subscribers into 6 month subscriptions (billed monthly) so that you couldn’t just drop $10 for Wrestlemania and immediately cancel your subscription. I’m going to watch Wrestlemania 31 and jot down some thoughts while doing so. Sorry for constantly changing tenses in what follows, you’ll forgive me right? Note: Wrestlemania spoilers will follow. I haven’t kept up with the WWE at all for at least the last six months, if not longer. I can’t even recall what was going on when I last watched. I believe I stopped watching around the time when there was the struggle between Daniel Bryan and the “authority” or whatever, where they basically said he wasn’t championship material. It was surprising, then, to see Daniel Bryan participating in the opening seven-man ladder match for the Intercontinental Championship with lower card talent such as Stardust, R-Truth, Dolph Ziggler and defending champion Bad News Barret. I’ll give the match credit, it was pretty exciting though was often cheesy. The R-Truth ‘scared of heights’ set up was a little lame, as was the opening series of over the rope volleys knocking more and more people to the ground until all seven participants tumbled like bowling pins. It was so absurd it made me laugh, which isn’t all the surprising coming from the WWE these days. I’m glad Bryan was victorious, but I feel like he’s a better talent and not someone who should be relegated to a lower title. The Randy Orton – Seth Rollins promo that followed next was pretty exciting. Sure the storyline seems pretty silly (Kane is with the authority, why?) but I’m starting to see parallels between the WWE and comic books. The story lines are silly and often don’t make a whole lot of sense, but you just have to stop trying to justify things and simply enjoy the drama. I kind of wish I had watched the Orton vs. Rollins storyline, it seems interesting (and I don’t think the WWE has been interesting since CM Punk’s reign, though Daniel Bryan’s rise came close). As I’m watching the match I can’t help but see all the people shielding their eyes from the sun in order to see the action. I’m not sure how much I like the idea of an outdoor venue for wrestling. There’s just something you lose by not having all of the indoor lighting and effects. Maybe it’s just me. The Orton – Rollins match when on for an excessively long time, though maybe it’s just that I don’t have the patience for wrestling anymore. For the most part it was unremarkable, yet the curb stomp counter into an RKO finish was pretty sweet. Glad Orton won. This whole Sting – Triple H feud is probably exciting for a lot of long time wrestling fans, but to me it just seems like it’s too late and is overly gimmicky, if that’s even possible for wrestling. I guess it’s all a gimmick, isn’t it? Maybe if there was more of a WCW vs. WWE thing going on it’d be more interesting, but then again I don’t think I can name a single WCW wrestler. Goldberg? He was one right? Meh. Hope Triple H loses. Sting’s entrance is over the top. They could’ve done something better to build tension. Heck, Triple H’s entrance has hyped me up more and I almost want to cheer for him instead…if he weren’t a total a-hole of course! I feel like the match is a little unrealistic. I mean Triple H is huge, there aren’t many in the WWE who stack up against his size and power, while Sting is older, less fit and less powerful. It doesn’t make a lot of sense for him to be able to hang in there with Triple H. But here I am, trying to make sense of wrestling again! D-X coming out should’ve been cool, but they’re all so old and terrible looking and they ran out with hardly any energy just to get bowled down by Sting in a scene torn from the opening match of the night. Not as exciting as it should’ve been. Then comes the NWO, another group of elderly men. Why couldn’t this have happened years ago? 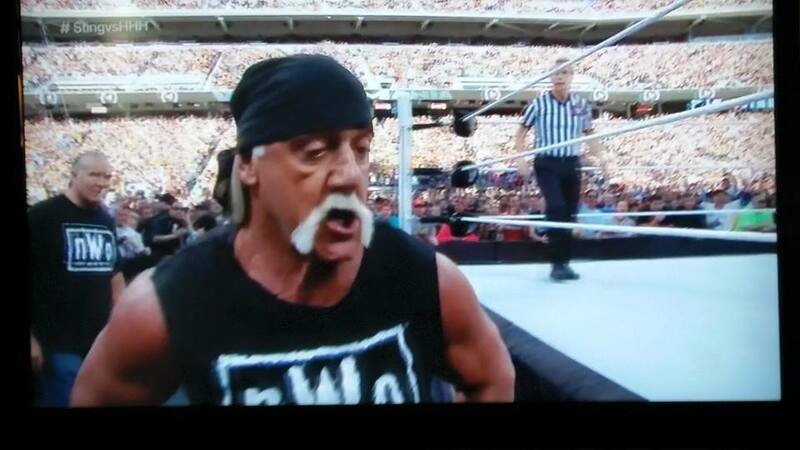 Hulk Hogan just needs to go away. The bat vs sledgehammer scenario was a little cheesy, though why not go all the way? Ultimately I think the match would’ve ended better as a draw. Triple H won, what’s new? The handshake doesn’t really fit with Triple H’s character, or at least what I perceive his character to be at this point. Also I expected more from Hogan (even if I’m sick of him). Well, I’m not sure how much more of this I can take, so I’m going to stop watching for now. If I get around to finishing it I might drop in with some final thoughts. Until then, thanks for reading. Let me know what your favorite Wrestlemania 31 moments were in the comments!